Mahapurusha Srimanta Sankradeva Vishwavidyalaya (MSSV) has officially announced the Admissions 2019 for Ph.D. and M.Phil courses. Candidates have to fill the Application Form as per scheduled dates. 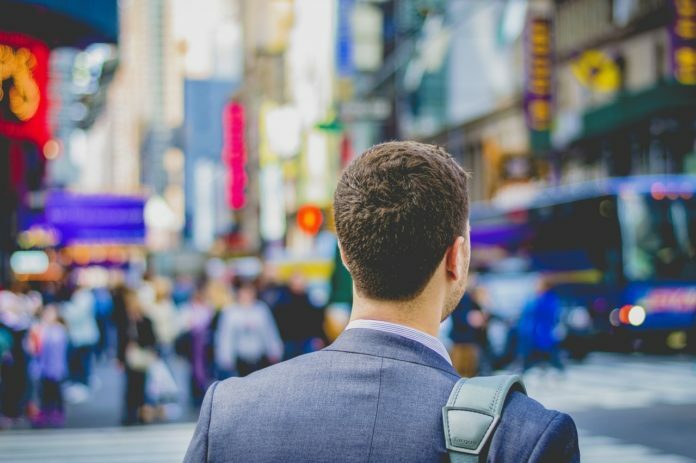 Here, the Applicants can also find details such as the important dates, eligibility criteria, how to apply, selection procedure and many more. Latest: MSSVRAT 2019 admission process is now over. The Mahapurusha Srimanta Sankradeva Vishwavidyalaya(MSSV) has introduced the diverse programmes in the disciplines of humanities, Arts, and Yoga Science in 1930 University has invited the Applicants to apply for the different courses such as the M.Phil. in Assamese, Education, English, and Sociology. P.hd. in Assamese, Education, English, and Juridicial Studies. Masters in Law(LL.M), Diploma in Human Rights and Diploma in Cyber Law. Applicants who are in seek for the admissions in the MSSV University can check the important dates of the Application Form. Appeared candidates can check their results on the official website. Candidates can download the MSSVRAT 2019 result from the website. Candidates are suggested to keep a printout of the result and preserve it for further admission process. Click here to check MSSVRAT 2019 Final Result. Click here to check MSSVRAT 2019 Result. The final list of eligible candidates for appearing in the Written Test of the MSSVRAT-2019 for admission to the Ph.D. & M.Phil Programmes in different courses has been released. The examination is scheduled for January 22 and 23, 2019 candidates are advised to check the list from the given link below for both the courses. Click here to check the list eligible candidates for the Ph.D. programme in different courses. 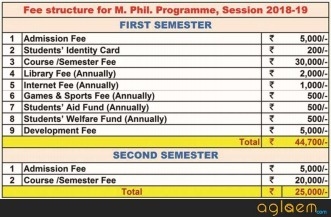 Click here to check the list eligible candidates for the M.Phil programme in different courses. Click here to check the date and time for the MSSVRAT-2019. The Application form for the admissions in different courses offered by MSSV University is available now. Before filling up the form Applicants are advised to read the desired information regarding Application Form given below. Application Fee: Rs.2000/- payable as cash or bank draft. From the Office, MSSV, Nagaon or Rupnagar, Guwahati on payment of Rs.2,000.00 (Rupees two thousand only) in Cash or Bank Draft in favour of the Mahapurusha Srimanta Sankaradeva Viswavidyalaya, payable at State Bank of India, Nagaon Main Branch (code: 00146). 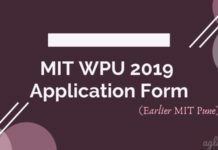 Forms can also be downloaded from the University website: www.mssv.co.in The filled up downloaded forms must be submitted along with a Bank Draft of Rs. 2,000.00 (Rupees two thousand only) in favour of the Mahapurusha Srimanta Page 2 of 2 Sankaradeva Viswavidyalaya, payable at State Bank of India, Nagaon Main Branch (code: 00146). 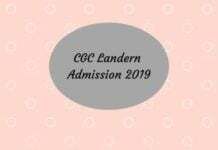 Candidates are advised to check the minimum eligibility for the Admissions 2019. M.Phil. : A candidate for admission to the course leading to the Degree of Master of Philosophy (M.Phil.) must have passed the Post-graduate Examination of this University or any other University/Institute recognised as equivalent by this University securing a minimum of 55% marks in the subject in which he/she intends to pursue the course. 5% marks in the eligibility norms shall be relaxed for the candidates of the reserved category. 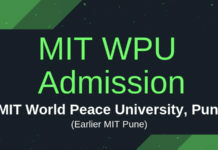 A) Persons with post-graduate degree (Master degree) from any recognized University Institute with at least 55% marks or equivalent Grade Point Average (GPA) 5% of marks in the eligibility norms shall be relaxed for the candidates of the reserved category Abovenoted rules will also be applicable to overseas candidates who have obtained masters degree from the statutory Indian/ foreign Universities. B) Admission for foreign students with 55% marks in the Master Degree or equivalent GPA, and relevant Passport and Visa, may be considered, subject to the ratification of the ViceChancellor. C) During the pendency of the Ph.D., programme the candidate will not pursue any other parallel programme or course outside the programme. Selection of candidates for admission shall be made on the basis of the MSSVRAT. The written examination of MSSVRAT shall be held on the following: a. Paper I: Research Methodology (100 marks). b. Paper II: Subject concerned (100 marks). The qualifying marks of the written examination are 50% in each paper. The list of selected candidates shall be put on the Notice Board of the University and also in the website of the university www.mssv.co.in Information to the candidates shall not be conveyed individually. The candidates shall be called through email for interview on the date and venue to be decided by the University. The candidates who have qualified UGC-NET (JRF/UGC-CSIR including SLET/Gate) or passed M.Phil. Degrees in the concerned subject are exempted from the written examination of MSSVART. However, they shall have to appear in the Viva-voce examination. 3% of the total seats in each programme shall be reserved for the differently abled candidates. 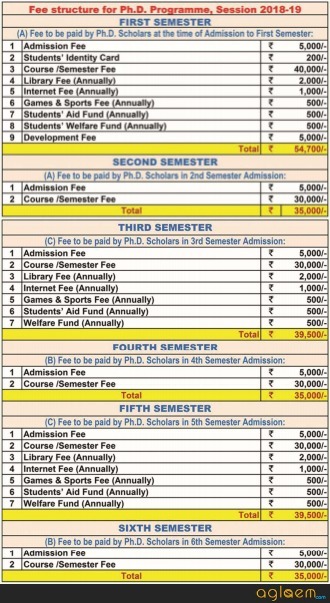 For more detail information on Mahapurusha Srimanta Sankaradeva Viswavidyalaya (MSSV) Admission 2019 for Ph.D. and M.Phil courses Admission Notice / Information Brochure.